Supporting Black-owned businesses is the easiest way to create Black jobs. 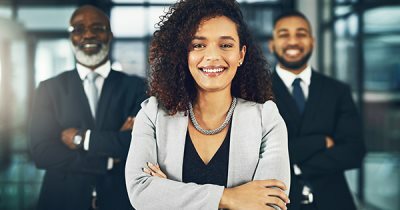 AFRICANGLOBE – BlackJobs.com features the latest well-paying job opportunities for Black American job seekers from companies who are dedicated to diversity recruiting and hiring. Ultimately, the web site’s goal is to help reduce the high rate of unemployment in Black communities. According to recent statistics, the Black American median household income in 2016 was just $41,300 compared to the national median household income of $64,000. This means that Black families, in general, earn around $20,000 less each year than other American families. BlackJobs.com, which is produced by Columbus, Ohio-based Diversity City Media, helps to solve this problem because it lists thousands of job opportunities in various categories and even allows users to sign up for free job alerts via email. This helps to present qualified Black American candidates with high quality job opportunities that they may not otherwise find out about. Employers that currently have their available positions featured on the site include: Oprah Winfrey Network (OWN), Netflix, USPS, Doctors Without Borders, National Wildlife Federation, UPS, Amazon, BET, TV One, and more. Each job opening on the site features a detailed description of the position available, the company’s logo, and a link where applicants can directly apply. The web site is 100% free to use for job seekers!